Recap: From those who brought you A Letter To My Cat and A Letter To My Dog now comes A Letter To My Mom. I have not read Cat or Dog, but I’m going to go out on a limb here and say that the latest in the series, A Letter To My Mom, is probably the best. 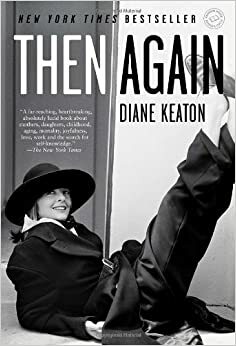 Just in time for Mother’s Day, the book is a compilation of letters written by men and women — both young and old, famous and not — to their mothers. Some letters are funny, like the one penned by singer Josh Groban. Some are sentimental, particularly the few letters written to deceased mothers, in which the children say all the things they never got to say when their mothers were still alive. Others tell stories, and a few just give thanks. But they are all full of feels. This compilation made me want to do nothing more than a write a letter to my own mother, thanking her for being so wonderful and telling her how much I respect and appreciate her, even when it seems like I don’t. There were several letters like that, too — ones that were more apologies than anything else. Some of the letters told hard-to-believe stories of courage — like the mother who saved her children from her abusive husband by moving out in the middle of the night or the mother who threw herself in front of a car to save her children’s life, and wound up paralyzing herself. There are some sweet stories too, like the story of the mother who started a cupcake shop with her daughter. All of them great, all of them meaningful, all of them interesting to read. Analysis: You don’t always think about the impact your mother has had on your life. On birthdays and Mother’s Day, yes, but other than that, it doesn’t come up much. Reading this book had me thinking about my mother constantly, all that she’s done for me, how much she cares, how strong she is. A good book forces you to reflect on your own life and think about its deeper meanings. This book does exactly that. And I loved that the letters came from all people of all different walks of life. In the back were short biographies of each letter’s writer, a who’s who of talented celebrities and non-celebrities. Many of them were excellent writers, which surprised me until I realized most of them are writers, bloggers, or freelancers for a living. At first, I thought it was biased to select mostly writers’ letters in this book. But I then decided it was wise. It takes a good writer to put what their feeling into words and a great writer to go as deeply personal as one must do when writing about mothers. This is the perfect gift for any mother, and a must-read for everyone else. 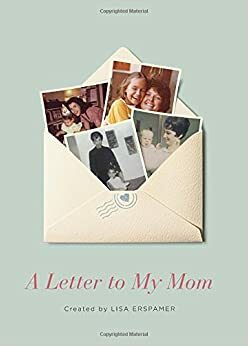 Get A Letter to My Mom in hardcover for $16.19. Upon finally getting around to reading The Casual Vacancy (aka the first book J.K. Rowling wrote after the Harry Potter series ended), I had so many thoughts and feelings. Primarily: this book is a lot better than I expected it to be, based on what I’d heard and the criticism I’d read. Also: I can’t wait to see how this is adapted for the screen in the BBC miniseries of the same name. The story revolves around the residents of a small British village called Pagford. Barry Fairbrother, a member of the village’s council, is a friend to everyone and a general do-gooder. But when he suddenly, tragically dies, the casual vacancy on the council becomes a not-so-casual vacancy for the rest of town. With each section of the book, more and more characters unravel as Howard and Shirley Mollison’s son, Miles, prepares to run for Fairbrother’s seat — as well as Simon Price and Colin Wall. But each person running has their own secrets — secrets which are subsequently spilled online, posted anonymously by their very own children, who happen to despise them. There are far too many characters to name, too many relationships to get into and too many domino-effect casualties to mention. But I enjoyed it. As she did in the Harry Potter novels, Rowling continued her theme of children vs. adults (and the children generally winning). Plus, the interconnectedness of the characters reminded me of other stories that stem from the British mainland (Love Actually, anyone?). In the end, the best characters were crushed. A lot was changed for the TV adaptation. Those who disliked the book will likely tell you the series was far superior. 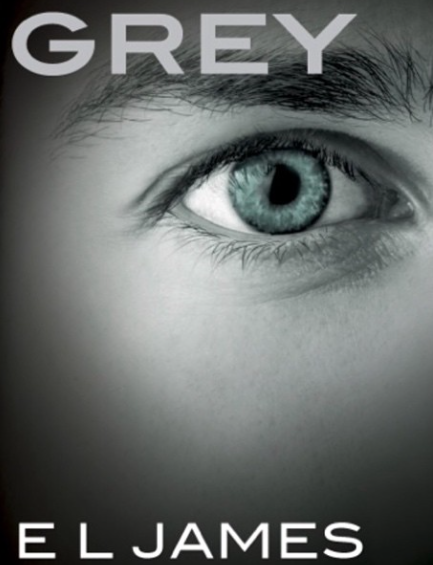 Those who were fans of the book will tell you the series was awful. I’m here to tell you the series wasn’t awful but it was far less grim than the novel. The novel is dark and twisty, much like the end of the Harry Potter series. I thought each character was an awful person, and the end was truly tragic and morbid. That, I believe, is the reason that producers made the series less severe. Of the two deaths at the end of the novel, only one dies in the show. I suppose all that death would have been too much for the average viewer. Most of the other changes were due to time restrictions, I’m sure. The series was three hours, but certainly could have used a fourth. I was upset that one of the book’s characters was left out entirely and that some of the big “meeting” and “party” scenes were combined. The series also added extra relationships between characters. For example, Barry Fairbrother was an uncle to some of the kids in the show and a half-brother to another character. These relationships were never established in the book. On some level, both the series and novel may seem as though they have no “point.” But it seems to me that any vacancy is anything but casual, and that’s what should keep readers and viewers on their toes. 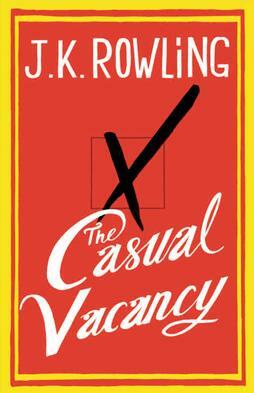 Get The Casual Vacancy in paperback for $14.23. Or get it on your Kindle for $8.99.